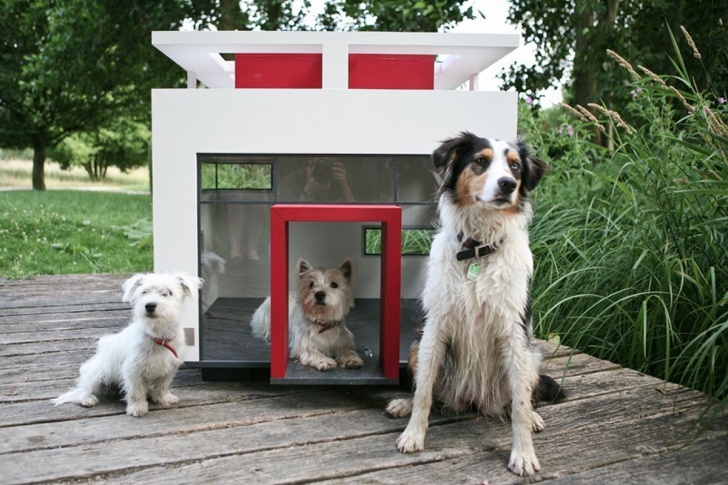 Modern Dog House | 10 Most Luxurious Dog Houses And Beds! Any dog will like this stylish kennel! If you want your doggie to live in this futuristic kennel, you will have to shell out $3000. This house looks stylish, but with a see-through door your furry friend can forget about privacy.